Are you wondering if a Shar Pei Lab mix puppy is right for you? Welcome to our complete guide to the Labrador Shar Pei mix! The Shar Pei Lab mix is the result of a Shar Pei cross Labrador. Are you interested in acquiring a Shar Pei Lab mix dog as your next pet? The growing popularity of “designer” mixed breed dogs means that more and more people are looking into them as possible pets. Labrador retriever mixes are especially popular, such as the Lab Poodle mix, known as the Labradoodle. The Shar Pei Labrador mix is less well known but appeals to many people seeking unusual mixes. Is the Shar Pei Lab mix, or any designer mixed breed dog, the right pet for you? Anyone interested in a so-called designer dog should know about the pros and cons of mixed breeds. In this article, we’ll take a closer look at the controversy surrounding mixed breeds. Then we’ll tell you all you need to know about the Labrador Shar Pei mix, so you can make an informed decision about getting one of your own. Mixed breed dogs used to be known as your run of the mill “mutts” a few decades ago. But in the past several years, designer cross breeds have become increasingly popular as pets. 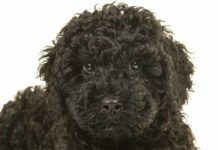 Looking for a unique dog? Here’s the truth about the gorgeous Silver Labrador. The growth of social media has played a big role in this trend, with people posting cute pictures of mixes like the Maltipoo and the Pomsky, generating interest in this type of dog. Because mixed breeds are popular, many people are offering them for sale on the Internet. It can be difficult to verify that these breeders are responsible and reputable. 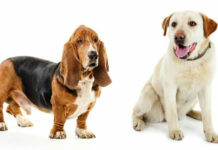 Dog breed organizations like the American Kennel Club do not recognize mixed breeds or have official mixed breed clubs. Popular mixed breed puppies can come from large, for-profit breeding operations known as puppy mills. High prices for designer mixed breed dogs are usually based on their popularity, not their overall quality or health. You can read more about this issue in the article “Purebred vs Mutt” here. Speaking of health, what about the concept of “hybrid vigor” in dogs? 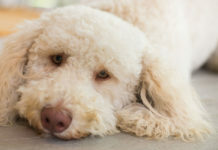 The Institute of Canine Biology notes that people assume purebred dogs are inbred, and hybrid vigor can be achieved by crossing two different breeds of dog. This is true, but purebred dogs can also be healthy if care is taken by responsible breeders to use different genetic lines of the same breed in their dogs. A puppy mill or other for-profit breeder of the Shar Pei and Lab mix might use unhealthy dogs from both sides in their breeding stock. This can cost you thousands in vet bills over your dog’s lifetime. 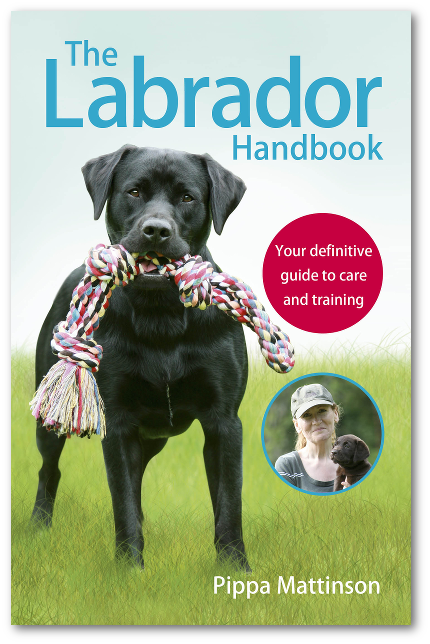 The Labrador retriever is one of the most popular dog breeds in the world… and for good reason! The Lab is a friendly, loving, and outgoing dog. 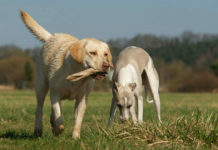 Their charming personalities and love of play has made them the family dog of choice for many years. Originally created as a working water dog in Canada, the Lab quickly became a favorite sporting dog. Retrievers like the Lab are used to gently retrieve small game like waterfowl brought down by a hunter. The Lab is an energetic and active dog, always eager to please and ready to play. But what about the exotic Shar Pei? The Shar Pei, sometimes called the Chinese Shar Pei, differs from the Lab in both appearance and temperament. The Shar Pei is an ancient breed from China known for its loose wrinkly skin, short rough coat, and black tongue. The personality of the Shar Pei is best described as devoted to its family but somewhat aloof and standoffish with strangers. It’s not as active as the Lab and is generally not recommended for households with young children. The Shar Pei Labrador mix is often called the Lab Pei. 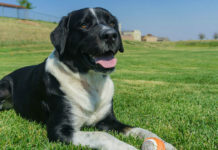 While any mixed breed dog can occur by chance, with the mating of any two dog breeds, the intentional Shar Pei x Lab cross as a “designer” mix goes back just a few decades. 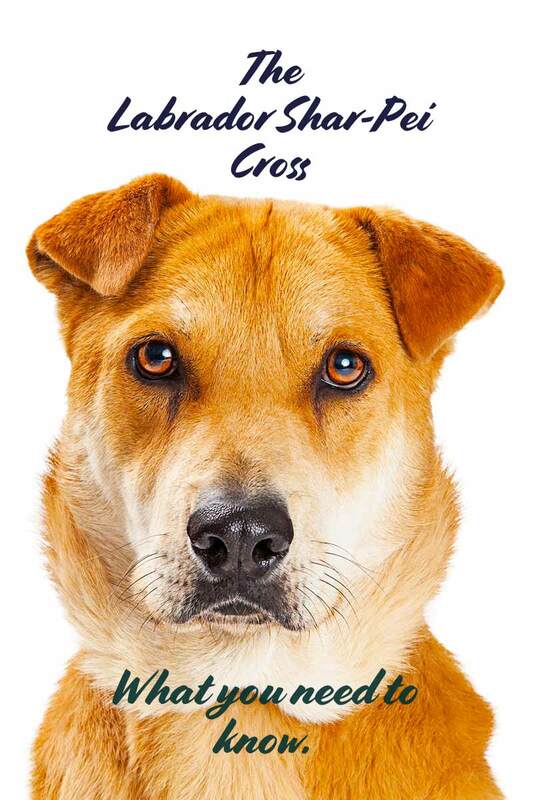 The most important thing to keep in mind about physical traits of mixed breed dogs is that a cross can have any combination of either parent breed’s characteristics. Let’s look at both breeds and then the cross. The Shar Pei is a sturdy, medium-sized dog. Weight ranges from 45-60 pounds, and height at the shoulder is 18-20 inches. Males tend to be larger than females. The Shar Pei has a large head characterized by those distinctive folds and wrinkles. The ears and eyes are small in comparison to head size. The Labrador is also a strong, medium-sized dog. Weight is between 50-80 pounds and height is 21.5-24.5 inches, depending on gender. The Lab’s head is sleeker than the Shar Pei’s, with larger ears and appealingly expressive and gentle eyes. A Chinese Shar Pei Lab mix could have more of the physical characteristics of one breed or the other. There are no guarantees and it may be difficult to tell what your puppy will ultimately look like. Generally, a Lab Pei is a medium-sized dog, weighing between 55-70 pounds and standing 18-25 inches in height. The appearance of the face and head is important to many potential Lab Pei owners. People tend to seek a cute mixture of the Lab’s sweet, expressive face with some of the Shar Pei’s wrinkling. Your individual puppy could favor one breed more than the other or resemble both somewhat equally. New owners should be prepared for any combination of traits. Coat characteristics and grooming requirements are important to many people interested in the Lab Pei. 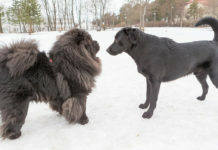 While both breeds have short coats, they differ in both texture and grooming requirements. The Lab has a double coat, consisting of a soft thick undercoat and a dense weather-resistant top coat. Labs tend to be fairly heavy shedders, and they will lose their undercoats in warm weather. Labs require regular weekly grooming and will need to be brushed a few times a week during shedding season. Recognized Lab coat colors are solid yellow, black, and chocolate. The Shar Pei has a short brush-like coat that requires less maintenance than a Lab’s. However, a Shar Pei has unique grooming requirements because of the wrinkly skin. It’s important to keep a Shar Pei’s ears and skin folds dry and clean. The coat color can be solid or sable (black tipped hairs). Solid Shar Peis can have some shading, but not patterns or markings. The Lab Pei coat could favor either the Lab or the Shar Pei breeds or be a combination of both. Generally, it’s short, straight, and somewhat rough. The color can be cream, light brown, dark brown, or black. This means that whether you are looking for a yellow Lab Shar Pei mix, a chocolate Lab Shar Pei mix, or a black Lab Shar Pei mix, you can find one. Some Lab Peis may also have the sable tipping. As we’ve seen, the Shar Pei and Lab have very different temperaments. While the Lab is friendly with everyone, the Shar Pei can be more reserved. What can you expect from a Shar Pei Lab Mix? Given that the cross can have the characteristics of either or both parent breeds, it can be difficult to predict what a Lab Pei puppy’s personality will be. Overall, they tend to be independent, loyal, and protective of their families. New owners should not expect the stereotypical Lab personality with a Lab Pei. The Shar Pei is a more challenging breed for novice dog owners. They can be stubborn and dominant. They don’t always do well in homes with young children or other pets. Your Labrador Shar Pei mix will require socialization and obedience training from an early age. Because Shar Peis are known as “difficult” dogs, finding a professional trainer who has experience with the breed is recommended. Proper training and socialization is important for all dogs, even if your Lab Pei is more Lab-like in personality. Even a little of that Shar Pei independence will make training from puppyhood on essential. Is the Shar Pei Lab mix a healthy mixed breed dog? Both parent breeds have some well-known genetic health issues. Your Lab Pei could inherit health problems from one or both parents. Here’s what should you know about Labrador and Shar Pei health, and the health of Lab Peis. Labradors can be prone to certain health conditions. These include hip and elbow dysplasia, a heart condition called tricuspid valve dysplasia, autosomal recessive muscular dystrophy, and an eye disease called progressive retinal atrophy. There are genetic tests available for many of these health conditions. Responsible Lab breeders will test their breeding stock and avoid passing diseases on to future generations. Your Shar Pei Lab mix breeder should provide proof that your puppy has healthy genetics on the Lab side. The Chinese Shar Pei has several genetic health conditions that new owners should be aware of. Additionally, there are health issues which are inherently associated with the Shar Pei skin folds. The unique Shar Pei head makes the breed prone to eye, ear, and respiratory problems. Conditions such as cherry eye, ear infections, and deflated muzzle are common. A particularly aggressive type of mast cell cancer is often seen in the Shar Pei. They are also prone to a type of skin cancer called histiocytoma. Shar Peis should always be monitored for abnormal lumps and bumps. The skin folds of the Shar Pei can lead to a serious skin condition called pyoderma. Pyoderma is a bacterial infection of the skin. While mild superficial cases are common in many breeds, Shar Peis can suffer from severe cases, due to moisture trapped in the skin folds. What about the Shar Pei Labrador mix? Your Lab Pei can inherit health problems from both the Labrador and Shar Pei sides. Hip and elbow dysplasia and skin problems are the most common. Reputable breeders will health test for dysplasia and provide buyers with certified test results. The skin issues can be more problematic, as pyoderma is associated with the Shar Pei wrinkles. 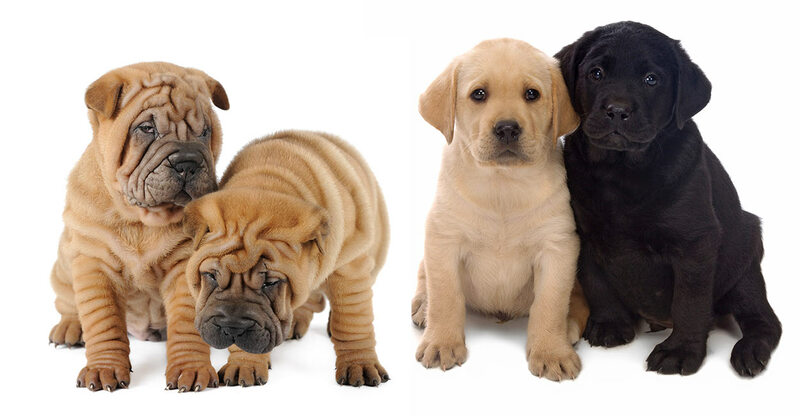 Your Lab Pei puppy may grow up to have deep folds or moderate folds. This can determine how serious the skin problems will be. Special care always needs to be taken with the skin, ensuring that it remains clean and dry. How do you find a Shar Pei Lab puppy? Shar Pei Lab puppies are available from breeders, but potential buyers need to be very careful about ensuring that they pick a reputable breeder. It is always best to work with local, small breeders who welcome potential buyers into their homes. It’s important to see the kennel, meet the breeder, and meet your dog’s parents, if possible. Your breeder should be able to provide you with genetic health test results. Not all health issues have genetic tests, but many do. For dysplasia, your breeder’s vet will send x-rays to the Orthopedic Foundation for Animals to be officially graded. Avoid buying a Lab Pei puppy sight unseen from a seller on the Internet. Your puppy could be coming from a large scale, for-profit breeding operation known as a puppy mill. Breeding animals used in mills are often kept in inhumane conditions and are not health tested for genetic diseases. An unhealthy mill puppy could cost you many thousands in vet bills over the dog’s lifetime. It is possible to find an adult Lab Pei through an animal shelter or rescue group. Since they are not as common as some other Lab mixes, finding one may require patience. Talk to reputable Labrador retriever and Shar Pei rescue organizations and let them know that you’re interested in a Lab Shar Pei mix. Animal shelter search engines like Petfinder allow potential adopters to narrow searches by breed. Unsure if your dog is a true Lab Pei? Genetic dog breed tests are widely available. Is a Labrador Retriever Shar Pei Mix Right for Me? As we’ve seen, there are some special considerations to keep in mind when thinking about acquiring a Lab Shar Pei mix. 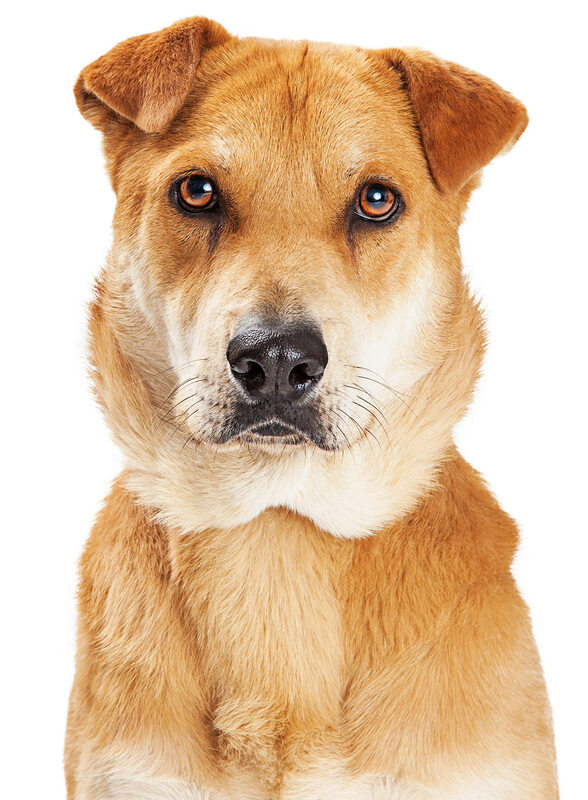 Any mixed breed dog can inherit the physical and temperament traits of either parent breed. In the case of the Lab Pei, health and temperament are a particular concern. A Lab Pei with excessive skin folds will require a significant amount of care to keep the skin clean and healthy. Other health concerns such as hip and elbow dysplasia, cancer, and eye disease should also be kept in mind. A Shar Pei’s temperament is very different from a Lab’s. Potential owners should be careful not to assume that they will be getting a Lab Pei that perfectly combines the sunny Lab disposition with a few cute wrinkles! There are no temperament guarantees with mixed breed dogs, and the Shar Pei can have a challenging temperament for novice owners. Good training and socialization is a must for the Lab Pei. Unlike Labs, Shar Peis don’t always do well in households with young children or other pets. A Lab Pei may do best as an only pet in homes with adults and older children. Remember that a dog is a lifetime commitment, so before you fall head over heels in love with a Lab Pei, be sure to do your research and find a dog that’s the right match for you! Beuchat, C. “The Myth of Hybrid Vigor in Dogs…is a Myth.” The Institute of Canine Biology, 2014. “Labrador Retriever.” American Kennel Club. “Chinese Shar-Pei.” American Kennel Club. “Health News.” The Labrador Retriever Club, Inc.
Vidt, J. “Breed Problems in the Shar-Pei.” Chinese Shar-Pei Club of America, Inc.
Moriello, K.A. “Overview of Pyoderma.” Merck Veterinary Manual.